So we are long overdue for an update. Our 2012 season has had plenty of ups and downs. We had a very successful time vending and competing at the Franklin, Indiana, Smoke on the Square contest we organize and host, however we continued to struggle at the jasper Strassenfest contest in August. Ottie and the organizers in Jasper put on a great contest and we have a fun time every year, but the heat kills us every year. This year was hot and humid so our cook times went quickly. Nevertheless, we tried a new box setup for the pork category and it paid off with a 7th place finish. 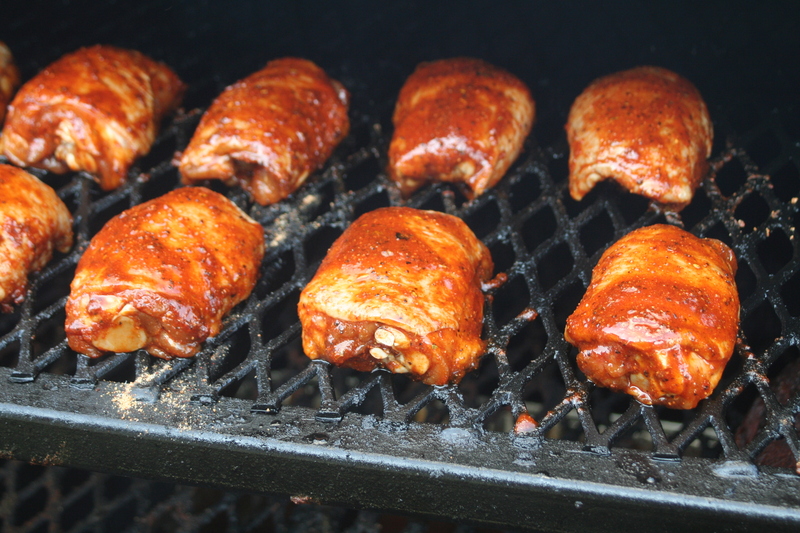 And so now the rubs are mixed, the sauces are prepped and we are ready to load up for the Praise the Lard competition in Murphysboro, Illinois. Once a year, Mike “The Legend” Mills shares his love of BBQ and competition with Memphis Barbecue Network and Kansas City Barbecue Society teams from across the country. This year is extra special as the 25th anniversary and 78 teams will be competing in the dual event. We are still not brave enough to cook both competitions, but we are hopeful some fine tuning will pay off. We are trying a dry-aged brisket at this competition for the first time, which we hope will get us out of the cellar in that category. Spring is here in Indiana and after a very mild winter here, the contest season is nearly upon us. Our annual team meeting is complete and preparations are underway for our first practice session. Within the next few weeks our contest calendar will be set and posted here. In the interim, we know you can come out and see Thin Blue BBQ at these contests. We look forward to having you come out and cheer us on. Our first contest of the year was right in our hometown of Franklin, Indiana. Brian actually was the contest organizer and while he couldn’t be with the team as much as he wanted to over the weekend, he was excited to see his vision come to life in downtown Franklin. The event was a tremendous success and Brian got positive feedback from the teams that came to compete and the public that came to check it all out. 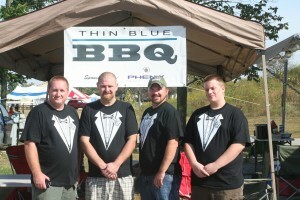 Thin Blue BBQ also had a successful weekend in the competition. As the first contest of 2011, the team welcomed two new members, Rick “The Professor” Barton and Mark Nicholson. The team finished 10th overall out of 23 teams. Our best category was Pork where we scored a 2nd place finish. We also got a ribbon for a 10th place finish in Ribs. Our Chicken was 12th and Brisket was 18th. 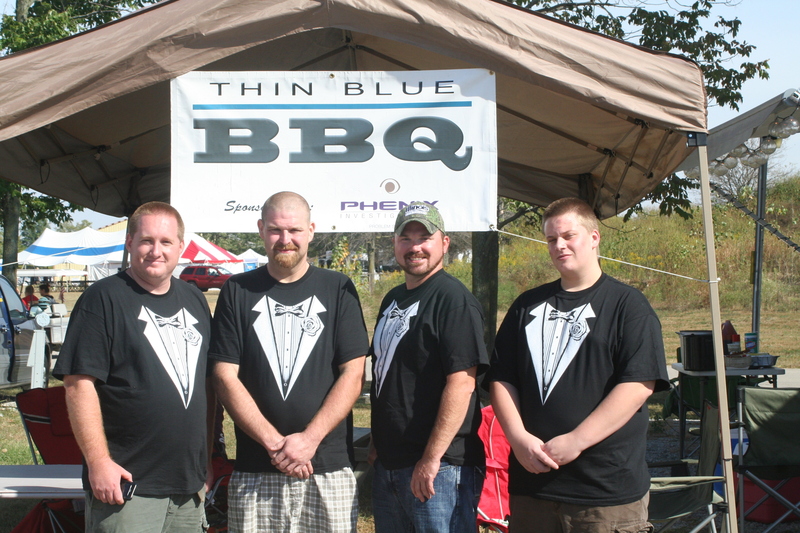 Thin Blue BBQ also won the People’s Choice competition. 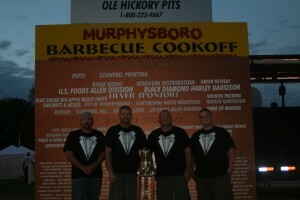 Overall, it was a great start to the 2011 competition season. We went into the Murphysboro, IL, contest viewing it as our Super Bowl. It was the last contest for our 2010 season and it is close to the hometowns for most of the team members so we were excited to compete in front of our families. Additionally, Brian was extra excited because the contest is run by Mike “The Legend” Mills. Mike is the man who inspired Brian to embark on his competition BBQ journey. The team knew they would be competing alongside some very good teams and so our goal was to learn as much as possible and we wanted to try to finish in the top 50% in each category. Murphysboro ended up being such a great contest. It is easily our favorite event. Mike and his staff work tirelessly to make the event run smoothly and to really put on a great event. 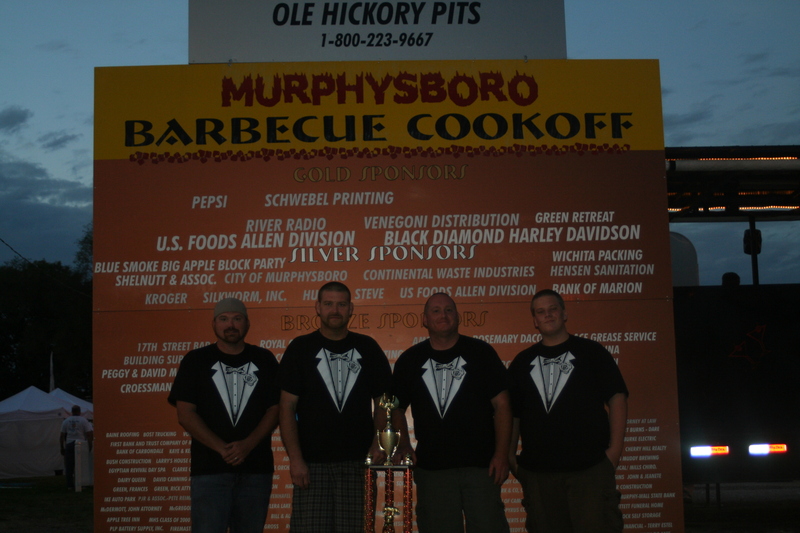 For Thin Blue BBQ, we consider Murphysboro a tremendous success. We finished 28th out of 44 total teams. 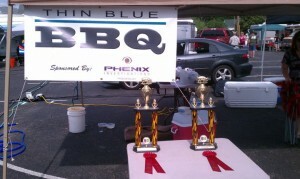 We finished 23rd in Pork, 12th in Chicken and we were completely surprised to get 2nd Place in Ribs!!! What a way to end a season. Not exactly the way we wanted to finish in the standings, but Thin Blue BBQ managed to keep the strong chicken results rolling. With 27 total teams in Greenfield, Thin Blue earned a 4th place call in Chicken. Our Pork was 14th, Ribs were 19th, and our Brisket was 25th. Overall, we placed 18th out of 27 teams. Now it’s on to Murphysboro, IL, for our final contest of the 2010 season. Our learning continued in Jasper, Indiana. We worked hard with a light cooking crew to make the best barbecue we have to date. Our hard work paid off when we managed to get a 9th place call in Brisket. We finished 31st overall out of 42 teams, but we had a great time at a great contest and we learned a lot.